​Barcelona find themselves at the centre of a storm and could still face being kicked out of the Copa del Rey after Levante have formally complained that the Catalans used an ineligible player in the tie's first leg last week. However, Barça insist they have done nothing wrong. Coach Ernesto Valverde saw fit to play teenage defender Chumi in the opening leg as he looked to rest his usual starters. Levante won 2-1, but Barça turned the tie around with a 3-0 win at Camp Nou on Thursday night to progress to the next round. Yet Levante president Quico Catalan had already stated prior to the second leg kicking off that it was the club's intention to complain to the Spanish federation (RFEF) come what may on Friday (today) because they believe that Chumi should have been suspended for the first leg game after accumulating five yellow cards, all with Barcelona B, this season. Levante have since confirmed that their complaint to RFEF has now been submitted. 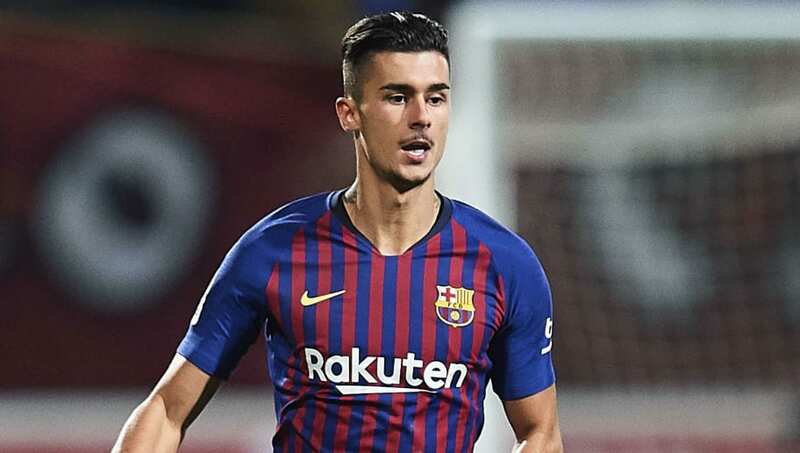 In response to Levante on Thursday night, Barça spokesperson Josep Vives defended the club's position by explaining, "We understand that we chose Chumi correctly. We believe that we are right and that our interpretation of the norm is correct. "We understand that Chumi is a player who is licensed to play in Segunda Division B with Barça B and simultaneously can also play with the first team. When there is a sanction it must comply with the corresponding license, i.e. in Segunda Division B."  Vives: "Entendemos que Chumi es un jugador que tiene licencia para jugar en Segunda B con el Barça B y simultáneamente también lo puede hacer con el primer equipo. Cuando es una sanción leve la debe cumplir en la licencia que corresponde, es decir, en la Segunda B"
That logic would have made Chumi unavailable for Barça B's league clash with Alcoyano on 13th January, two days after the first team faced Levante in the Copa del Rey first leg. He was accordingly left out of the Alcoyano game because the club believed he was suspended. A report from Mundo Deportivo (MD) notes that the deadline for Levante to register a complaint was Monday of this week and has already passed, although the case is still expected to be reviewed and a decision will be made as to whether Barça are allowed to stay in the Copa. MD also notes that confusing interpretations of differing sections of the RFEF rulebook have contributed to the head scratching legal debate. One article from the code reportedly makes it clear that short suspensions of three games or less are to be served in the same competition in which the offence was committed, in this case it would be a league match and not in the cup. But another apparently says that players of a subsidiary team, like Barcelona B, sanctioned at that level, must not play for the club at any level until they have served the suspension. The motive for that rule appears to be preventing an otherwise suspended player from simply being used at a different level on the same day or weekend, which is why interpretation is so key.